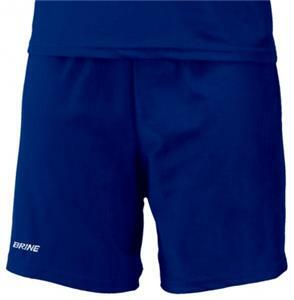 Brine Womens Girls Essence Game Shorts - C/O. Solid color, short with a 1 1/4" covered hemmed leg openings and v-notch sides. 5" inseam and embroidered logo on the right hem (White shorts are lined with a tricot liner with moisture management finish). 100% eXtreme Mock Mesh cationic colorfast polyester with moisture management finish. Solid color, short with a 1 1/4" covered hemmed leg openings and v-notch sides. 5" inseam and embroidered logo on the right hem (White shorts are lined with a tricot liner with moisture management finish). 100% eXtreme Mock Mesh cationic colorfast polyester with moisture management finish.